1.1 How about the unlucky numbers? In Western countries, due to the religious reason, 7 is a ubiquitous lucky number which many believe that it is associated with creationism. But some numbers have been thought to be lucky, while others are considered unlucky. So, does 7 be thought as lucky in Chinese culture, too? To learn a language well, you’d better understand more about the culture. Chinese people are very superstitious, building from this, there are many interesting facts behind the numbers and its combination. 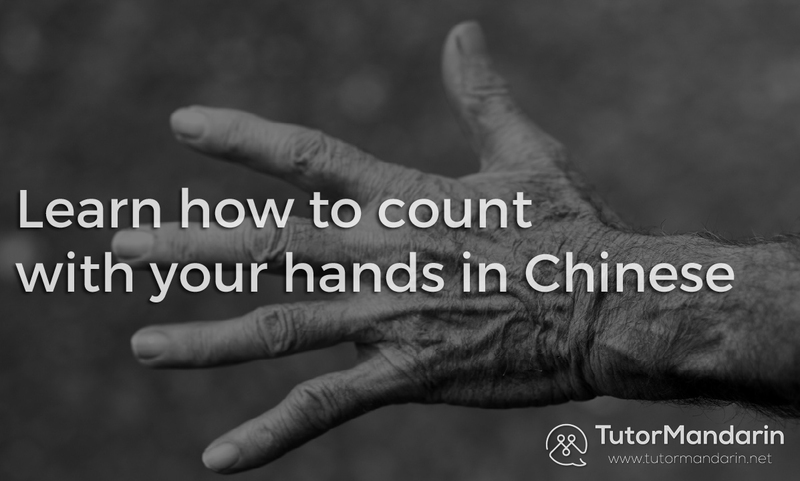 Before we start revealing the secret of Chinese numbers, we need to make sure, you are already familiar with how to count in Chinese. Don’t know how? Maybe you should check out this post about counting in Chinese numbers before continuing with this post. The pronunciation of numbers might be a significant element that affects Chinese to judge how much luck a number brings! Thus, if you aren’t quite sure how to pronounce the numbers right, sign up our Free Trial Class. Download our App at the Google PlayStore for free and enjoy your 1-on-1 trial class with one of our highly motivated professional Mandarin tutors – no matter where you are! Okay, it’s time to peep into the secret of numbers in China now! Let’s start with the lucky ones…. Six (六 – lìu), eight (八 – bā) and nine (九 – jiǔ) all got the homophones which have “auspicious meanings”, therefore they are being looked upon as the luckiest numbers in China. The number six (六 – lìu) is pronounced as liù in the Chinese language, which is similar to the character 流 (liú) which means “to flow”. Where water flows freely, people live in affluence. Flowing means also to move forward, and to bring wealth. As a Chinese proverb goes 六 六 大 顺 (liù liù dà shùn – [meaning] everything goes smoothly), the number six is regarded as “well-off”. Speaking to the number eight (八 – bā), it was very obvious how eight is popular in relation to the Beijing Olympic Games which commenced at exactly eight o’clock eight minutes on the eighth day of the eighth month in 2008. For the reason that 8 has the similar pronunciation with 发 (meaning “to become wealthy and fortunate”). Chinese people (especially businessmen) love 8 so much that they often put lots of 8s on a lottery ticket, and choose the phone numbers with a lot of 8s in it. Furthermore, rich people pay money to have a number plates for their cars with as many 8s as possible. The number 9 (九 – jiǔ) shares the same pronunciation as jiu (久) in Chinese, which means longevity, everlasting and eternality. So, it’s not surprising to see guys buying 9, 99 or even 999 roses for their lovers wishing to have a forever romantic relationship on Valentine’s days in China. How about the unlucky numbers? 4 (四 – sì) is an extremely unlucky number that you might wanna avoid to use in China. The word four sounds in Chinese like the word “death”. So, you might notice there usually aren’t the fourth floor in hospitals in China. Some elevators in Chinese hotel even intentionally skip the bottom of the fourth floor and goes from 3 (三 – sān) directly to 5 (五 – wǔ). 7 (七 – qī) is being regarded as unlucky as we just mentioned above. In Chinese culture, seven relates to ceremonies that release dead souls from purgatory. And most of all, it shares a close pronunciation with the word meaning “gone” (去 – qu), which related to “death”. Now, you know that the meaning of Chinese numbers is mainly associated with the pronunciation. And this is quite interesting when it comes to Chinese digital numbers. 518 五一八 wǔ yī bā This Chinese digital numbers sound like “I want to be rich!” or “I will prosper!”. 168 一六八 yī lìu bā This means to be rich all the way, which sound just like one road to prosperity. 3399 三三九九 sān sān jiǔ jiǔ Everlasting, forever. 174 一七四 yī qī sì Die together. So, have you said 520 (五二零 – wǔ èr líng – i[wǒ] love[ài] you[nǐ]) to your loved ones today? See, there is still a lot to talk about when speaking of numbers if you want to learn Chinese language! Chinese is a super fun language! Download our app at the Google Play Store to learn Chinese online with TutorMandarin or sign up our free trial to learn Mandarin and download the Chinese App for more Chinese language materials and to learn Mandarin online. This entry was posted in Chinese Survival Skills, Funny China, Understanding China, Understanding Chinese Culture, What's On and tagged chinese, chinese numbers, Chinese tutor, learn chinese, learn mandarin, lucky, lucky chinese numbers, lucky in chinese, mandarin tutor, Understand China. Bookmark the permalink. ← TutorMandarin Launches Android APP on Google Play!